Pests can find their way into your house, particularly during the winter months. Once they settle in, the potential for property damage or health risks to you and your family could be substantial. It is vital that you understand the importance of keeping your house pest-free. A pest infestation could be apparent even if it is not visible. Insects and small mammals like mice may have made their way into your home through access points like cracks in the walls. Once inside, they work their way throughout your home unnoticed until the infestation becomes apparent and a costly eradication of the pests looms as an option. There are exterminating companies in Peekskill, NY, with the experience and training to rid your home of annoying pests. You can take the initiative by recognizing how pests can be a problem to your home and family and how to take steps to ensure your home is pest free. Even the cleanest and most well-kept house can be a destination for pests. Rats, mice, or squirrels, drawn to a warm place to nest, can bring disease-bearing fleas into your home. A flea infestation can be costly to deal with. Roaches carry germs that can spread illnesses, and ants are a nuisance that can be difficult to completely manage. 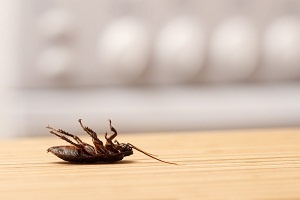 These pests can be problematic in locations where food is prepared, stored, and eaten. Termites, carpenter ants, and carpenter bees can be responsible for serious damage to your property, damage that could end up costing thousands of dollars to repair. The presence of spiders in small spaces or stinging insects like wasps in crevices can be particularly distressing. · Keep trash stored away from your house to prevent attracting small animals, and make sure your yard, patio or deck, and garage are litter free. · Seal off gaps in the exterior of your house, such as around garage doors, windows, and unscreened vents, to prevent bugs from entering. · Store food in tightly sealed containers. · Check regularly for anthills and insect nests. An experienced professional can help you with a pest-prevention plan. That person will assess the situation in your home and the type of pests involved, determine the extent of the infestation, and come up with cost-effective options to eliminate the problem. Exterminating companies in Peekskill, NY, are ready to help. If you do not have a pest-prevention plan for your home in place, now is a good time to consider it.